Frank W. Baird. 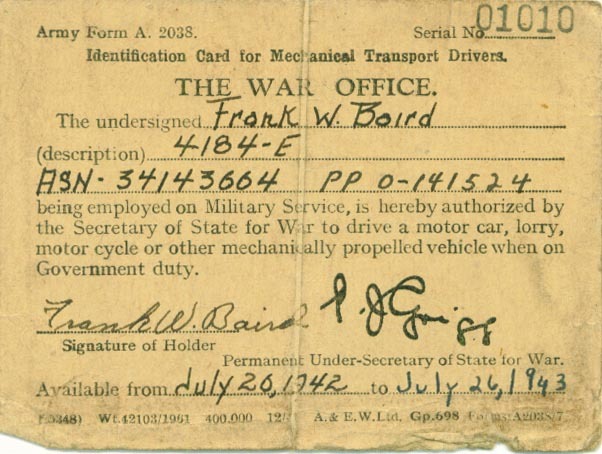 Idenfification Card for Mechanical Transport Drivers. The War Office. Are you looking for BAIRD ancestors? If so, we suggest posting a query to our Community Message Board to get assistance from other researchers.